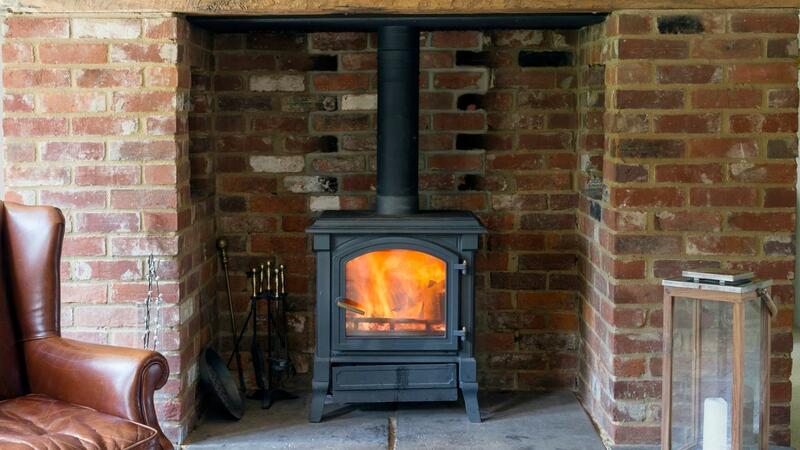 What Are the Features of a Good Wood Burning Stove? A good wood burning stove burns clean, is energy-efficient, saves money, provides radiant heat and is aesthetically pleasing. Factors that should be considered when choosing a wood burning stove include size, material and style. Environmentally conscious homeowners can benefit from using a wood as a fuel source. They should opt for EPA-certified wood stoves that barely produce smoke and are carbon-neutral. This means that they do not contribute to the increase of CO2 in the environment. Heating a home with wood is cheaper heating it with electricity, gas or oil. Homeowners are advised to look for stove models that are designed to use less wood to save even more money on heating. A good wood burning stove provides radiant heat from the top, sides and front of the stove. The room temperature can feel lower than the reading on the thermostat, making a wood burning stove a good complement to a forced-air heating system. Wood stoves also heat the surrounding air more efficiently and quicker than forced-air systems. An attractive wood burning stove complements a home’s interior. There are many different designs to choose, making it easy for homeowners to choose one that matches their decor and meets their aesthetic preferences. What Is a Calorie Burning Table? Are All Stoves Made by United States Stove Company Wood Burning?